Loving all the options for textured sweaters this year! This one is from target (not sold online) & leggings from Torrid. 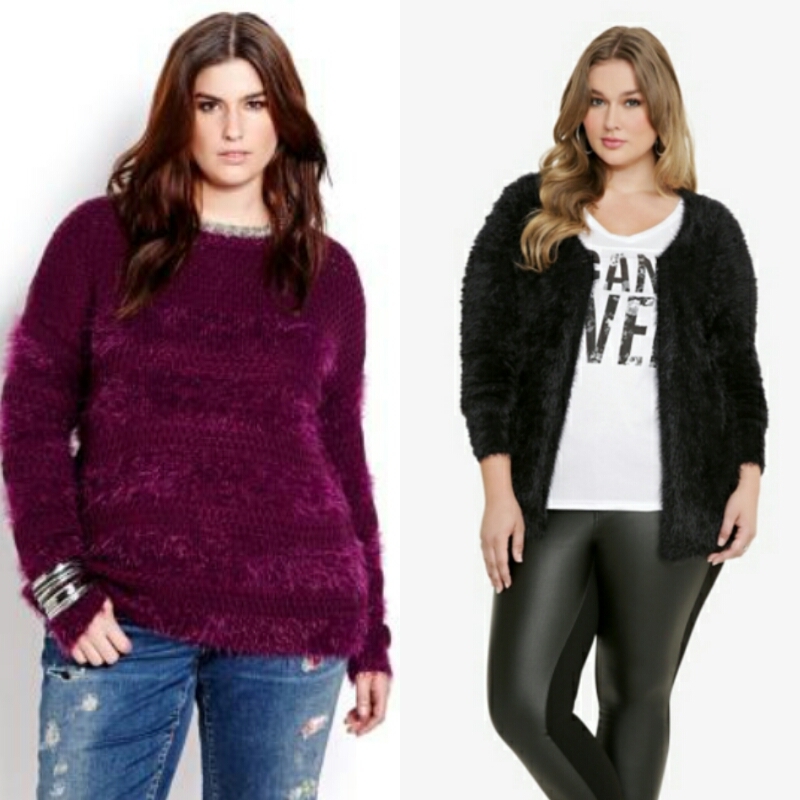 Similar fuzzy sweater from AdditionElle & open shag cardigan from Torrid.